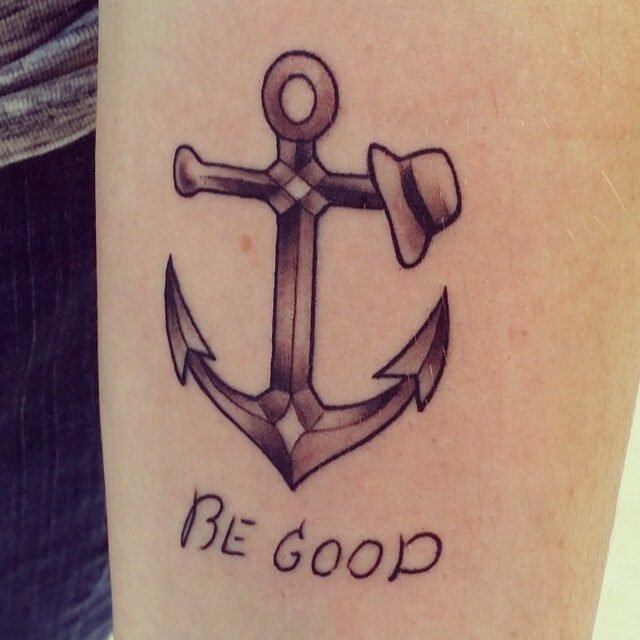 That one time I got a tattoo…. I did it! I got my first tattoo today. I designed one with my tattoo guy, Jesse, and it is amazing. Check it out!! It didn’t hurt, not even a bit. There was one spot up on the brim of the hat that was a bit….not really painful, but definitely sensitive. If anything, it’s more irritating now that it is healing than it was to get done. And it doesn’t hurt, it’s just a weird sensation. i am keeping it moisturized and clean. So, the story behind the design. 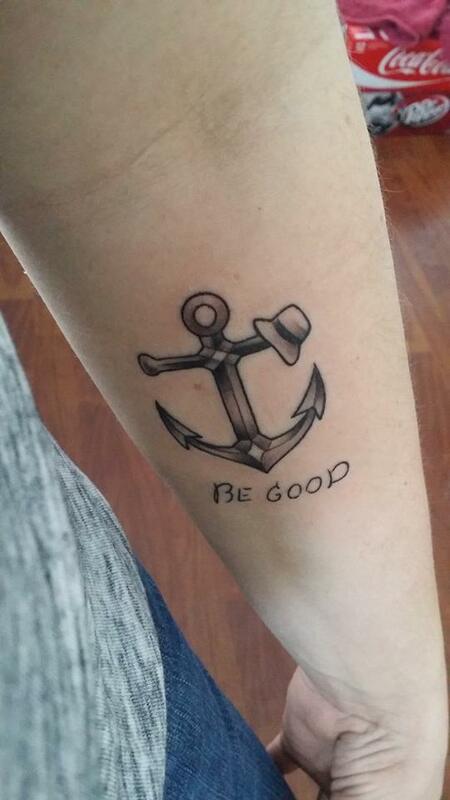 This is my Poppa’s handwriting, in “be good”, which he always told me. I love anchors, and they symbolize so much for me, so that was a given. And the bucket hat is there because Poppa always wore one; most of my earliest memories is of him in a bucket hat down camping where we used to go. So, there it is. I love every single thing about it, from where I decided to put it (I have always wanted a tattoo there) to the design to the handwriting. It is perfect and symbolizes my Poppa perfectly. And now I know why people say they are so addicting.